Last week in TBGC 10 Gin Example Extraordinaire – Part 1, I gave you a brief overview of 5 of TBGC’s recent offerings, half of the 10 they sent me. Well, I am trying to learn to space my drinks out a little more. And here we are this week with the other 5, including my favourite of the newbies, the Rhubarb Triangle (have you tried it yet? If not, where have you been?!) I guess it should go without saying that Rhubarb was a top player last year and was incredibly popular, especially over the summer. The plant may need sunshine, but the flavour certainly doesn’t and I’ve had great fun experimenting with hot gins using it. So, without further delay, lets move onto the next 5. Take a seat, make sure you’ve got a good full drink in front of you and let’s get this party started. Double-Sloe Gin, Whittaker’s, 44%: This is a delightful offering from Whittakers, based in Harrogate. A mix of sloe gins, sweetened with lovely liqourice. On the nose this gin is sweet with a hint of cherry and underbelly of mossy glade, the sort of smell that evokes a wander through a freshly rained on orchard. The palate is hit with a deeply sweet spice that warms and lingers at the end. This is a surprising and lovely gin, and very versatile. definitely one to be used in cooking and hot gins as well as a cooler, longer drink. Hot Sauce Gin, FEW, 46.2%: Well, this is rather special! Anyone I know who loves their spice needs to hop on board this asap! Made as a limited addition with American heavyweight FEW, bourbon is held in barrels that have held bourbon and then hot sauce. The bourbon is then re-distilled with juniper, Guajillo peppers and Ancho chillies. This a truly inventive and magical gin. The boom of heat on the palate is delicious and has me immediately thinking about trying it in marinades, or having it to sip on whilst eating spicy food. This is a real piece of work, this one. Finger Lime Gin, 46%: Ever heard of finger limes? Me neither. From checking the description I became curious and did some research. They are such a brilliantly interesting fruit. Partly citrus and partly not, break open the skin to release a plethora of small juicy balls, commonly compared to caviar. Needless to say, the gin is delightful. Fresh with a zingy tartness on the nose moving through to a sweeter palate and a short, floral vanilla finish. This is a fab gin, would be good in citrus cocktails or long, summer coolers. Rhubarb Triangle Gin, 46%: Made using rhubarb from the Rhubarb Triangle located between Leeds, Bradford and Wakefield, this is an incredible gin. 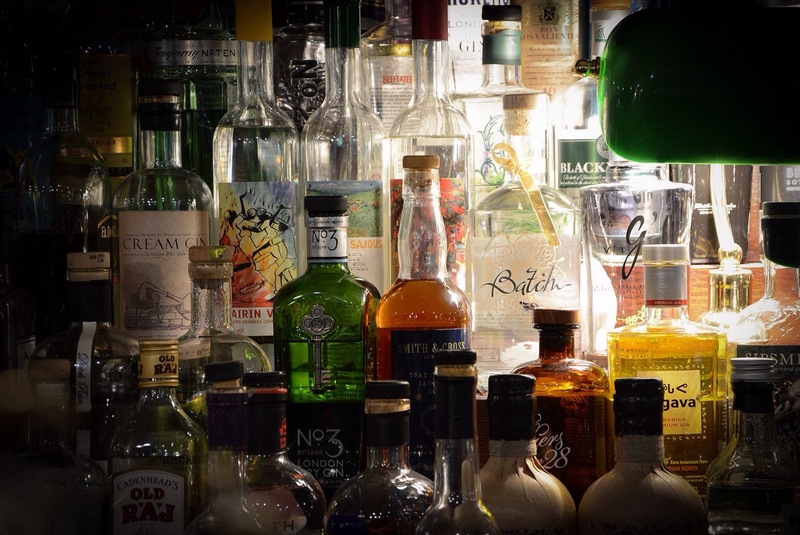 Achieving a huge fruity flavour in gin generally comes at the sacrifice of the ABV and the gin becomes a liqueur. Not that there’s anything wrong with liqueurs, I just personally prefer gins. Rhubarb has been a popular botanical over the summer months, both in liqueur and gin form that has a more subtle fruit. This gin has it all. It’s an overwhelmingly juicy, spicy hit of rhubarb. Amazing for cooking and cocktails, I’d say. Absolutely bursting with flavours, I’m a little in love with this one. Strawberry and Balsamic Gin, 40.1%: Not one for the faint hearted, this is a peculiar gin. Even more peculiar that there is little online about it as yet (and no picture either, sorry!) But its amazing and definitely deserves a mention. Now I’m aware of strawberries with balsamic glaze, and despite being one of those flavours some people don’t like, I think the flavours compliment each other well. I was unsure what to expect with it in gin form. Balance is key in this recipe and TBGC have done very well. Classified as a fruit gin, the strawberry flavour is rich, decadent and seductive. The balsamic comes through just at the right level and rumbles on into the finish, not to override the thick juicy strawberry, but to bring another element that almost likens it to a wine or port in flavour. But where oh where do we get our delicious gins! I hear you cry! The usual suspects Master of Malt, Amazon, That Boutique-y Gin Company, plus various other shops and retailers. Not so sure on the Strawberry and Balsamic yet, but I’ll find out and let you know. So, there we have it. 5 gins into my day and it’s only 4pm. What a fabulously productive start. Thank you so much for taking the time to send the gins to me Boutique-y. I’m super impressed and as always, I’m keen to try out any more you want to throw my way. There’s a new nautical gin in town. Mary Rose gin was launched mid August, and it’s got some big boots to fill. With the motto ‘Chart your own course’, it’s the flagship gin of the new HMS Spirits. 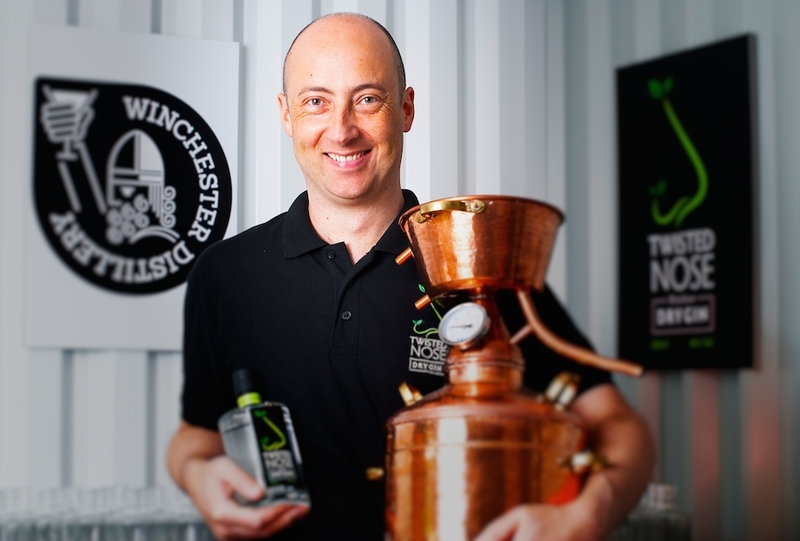 It’s a bold and brave name, but creator Ben Maguire was pleased to confirm that he went through all the right channels to confirm he could use it and as well as online the gin is for sale at the local Portsmouth Historic Dockyard. There are also hints that there could be further projects with them which is wonderful. Good luck with that, Ben, it’s a fantastic connection to have. If you’ve read my previous article on IOW Distillery – Mermaids and the mighty – HMS Victory Navy Strength Gin, you would already be aware of my connections to the Dockyard, being a local resident in Portsmouth and for a period of time working at the Dockyard itself on ships like HMS Victory and HMS M33. So, it could be said that I take a great personal interest in nautical gins coming out of the south coast and it felt only right to write a little something on it. On speaking to Ben, it’s apparent that this gin has come from a particular labour of love. He has travelling in his blood and wanted to create a gin that caught that sense of adventure and his own fondness of the south coasts nautical connections. Creating a gin that boasts the bold flavours of grapefruit and rosemary, he found it a nice play on words to name the gin Mary Rose (rosemary, get it?) Silly me hadn’t immediately picked up on the connection, but once I did, I found it rather clever. The gin tastes strong at 42% and the rosemary does give it a rather lovely kick. Using a higher level of oils than some gins, it’s smooth to taste, whilst holding a characteristically strong flavour. HMS Spirits began life in a garage, with Ben pottering with a 35L still he brought during a trip to Hungary. 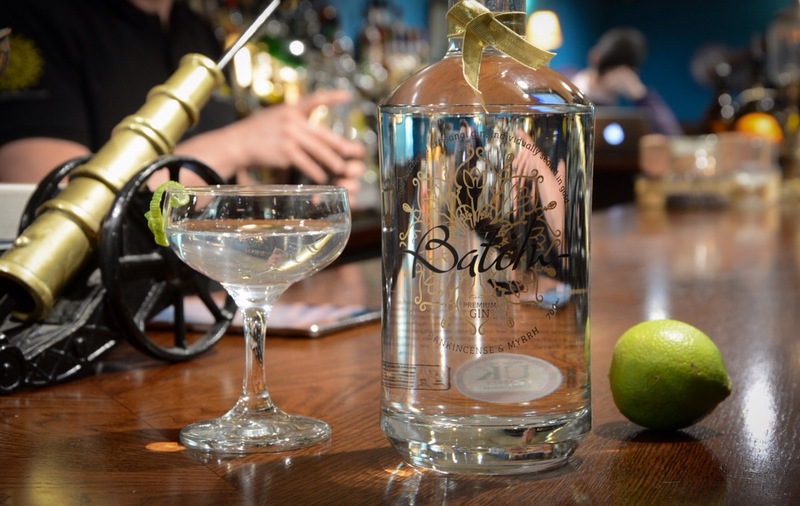 The idea was to create a gin that respected the full art of a traditional London Dry, whilst giving it a modern twist. 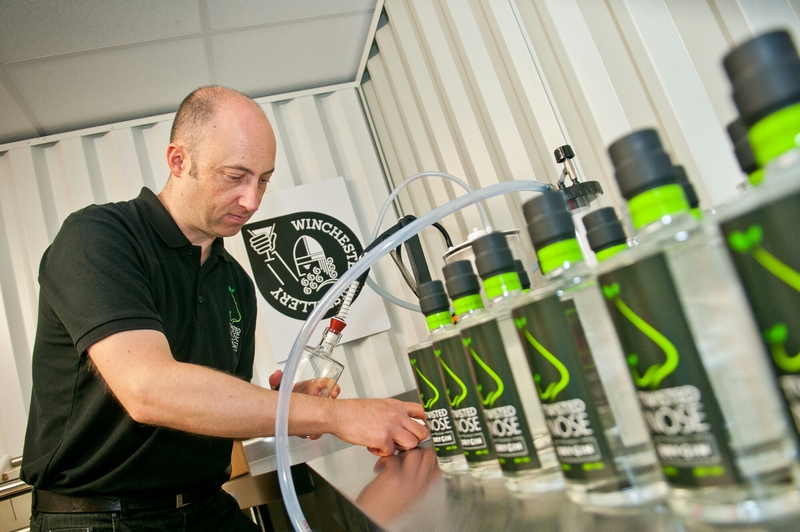 Four years were spent playing with different recipes before arriving at Mary Rose gin in 2016. This labour of love was soon to turn to business as after friends commenting that they thought it was a good gin and could hold it’s own in the market. With this boost to confidence, Ben felt that it was worth looking into further and started down the road to make it an official company. It would be another year before HMS Spirits got their name. “The name needed to encompass all of our core beliefs and interests, we felt like the HMS Fleet did exactly this, pulling together a love of the sea, travel, taking risks, discipline and supporting others.” He’s ambitious and believes that Mary Rose gin is just the start, wanting “to create the finest spirits, using the highest quality organic botanicals from across the globe as well as locally, learning from other cultures as well as out own and in turn spread the word of ‘Modern Britishness’. With our changing times, this idea of Modern Britishness is certainly an idea I can get behind and I’m really looking forward to seeing what other spirits they come up with. HMS are keenly looking into export and are arranging meetings so I think it’s only so long before they’ll be off on a voyage of their own. It’s recommended to go with a sprig of rosemary and a slice of grapefruit, although HMS actively encourage people to ‘chart their own course’ to try it with different mixers and garnishes and share how they like to serve it. Ben has hinted at a fantastic idea for marketing which will see social media participation with drinkers hashtagging the HMS Spirits cork at different places around the world. And there’s more in the pipeline. Ben tells me there’s a Navy Strength due in the new year, and a summer styled blend that will be available in the spring. He’s keeping his cards close to his chest with botanicals but has said it is another London Dry style with no flavours being added after distillation. If you fancy meeting the guys, good news! They’re partnering Suzuki at the London Boat Show in January and Ben would love people to pop along and say hello. The gin is lovely, Ben is friendly and excitable and there are some good creative ideas here. I’m certainly wishing HMS Spirits all the best and I hope to catch them on the high seas soon. Mary Rose gin is for sale on all good websites like Amazon and Master of Malt, as well as local stockists and of course the Mary Rose Museum at the Portsmouth Historic Dockyard. Pictures courtesy of HMS Spirits.